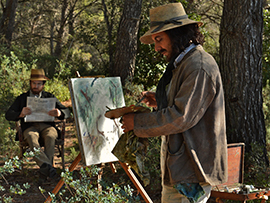 Artistic and beautiful, “Cezanne et moi” is a highly accomplished time-period film about art, love, and the struggle of two good friends who reached everlasting fame. 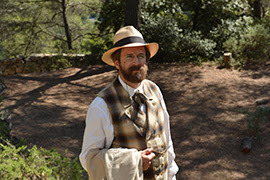 The biopic recalls the intimate lives of the legendary artists of the 19th century, Paul Cezanne, and Emile Zola A neglected painter and a celebrated author. The nonlinear story goes back and forth from their present time to their childhood, through their adolescence, and then their adulthood. In a Catholic School in a small province of France, we meet Emile Zola, bullied by his classmates for being a foreigner and fatherless, he and his mother immigrated from Italy. Cezanne, the rich boy, defended him. That was the beginning of a lifetime friendship. Their ambitions made them move from the Mediterranean hillside town of Aix-en-Provence to Paris. In Montmartre and Batignolles, Inglewood, they met many of the emerging and established artists of their time such as Monet, Renoir, Bazille, Morisot, and Cassatt. Zola and Cezanne become roommates. They even slept with the same women and fell in love with many of dubious reputation. Those were difficult times; they struggled on the brink of starvation. Zola was not French, but he was eloquent in his writings. Fame and fortune came first for the writer, while the painter wrestled his demons until the end. Cezanne hated himself so much that he destroyed some of his artwork. He was not alone; no one could understand his unique, groundbreaking Impressionist style that struck a chord with young art lovers of the day but was not liked by the classics. 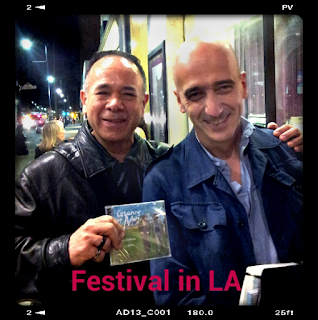 This feature film perfectly depicts how two friends live their own lives in their own worlds with their trials and failures as they follow their passion for the arts. 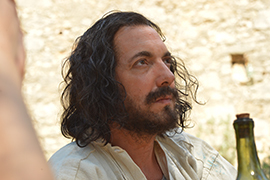 Guillaume Gallienne (Cezanne). Photo courtesy of Magnolia Pictures. 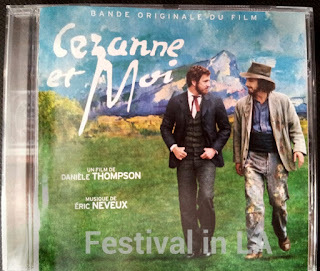 Frustrated for been ignored by the Academy of Arts, Cezanne hit rock bottom. Yet, Zola always cared for his friend. At one point, their friendship gets tiresome. The prestigious Academy of Arts qualified Zola's books “Germinal” and “Nana” as vulgar and obscene. Regardless of the scandal, French readers had a big appetite for those types of stories. His success was imminent. Guillaume Canet (Zola). Photo courtesy of Magnolia Pictures. Zola's experiences in brothels are not in the film. Maybe that was one of the reasons this movie got such mixed reviews in France. On the other hand, to show the downside of the Parisian night scene would take away much of the film's central theme, the friendship between two great artists. 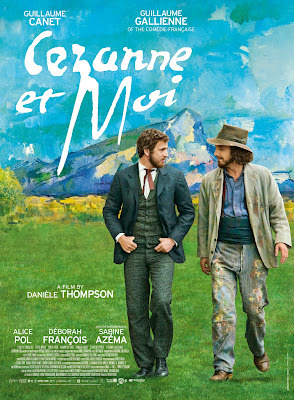 Actors Guillaume Gallienne (Cezanne) and Guillaume Canet (Zola) are magnificent in their respective characters; their performances are outstanding. 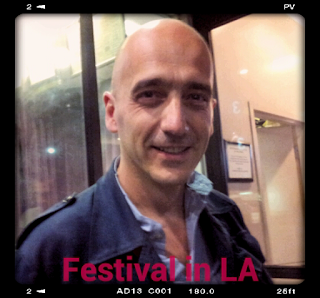 The film is directed and wonderfully written by Daniele Thomson ("Avenue Montaigne," "It Happened in Saint-Tropez/Des Gens qui s'embrassent"). Her years of experience in movie-making can tell us she knows her craft. Daniele Thomson's style to write fine comedy is sharp and elegant, and she is the Woody Allen of French Cinema. Ms. Thomson's writing style is delectable. She works on the dynamics of conversations and enlarges the dialogue to transmit the proper emotions from the actors to the audience. The cinematography by Jean-Marie Dreujou is evocative and utterly beautiful. 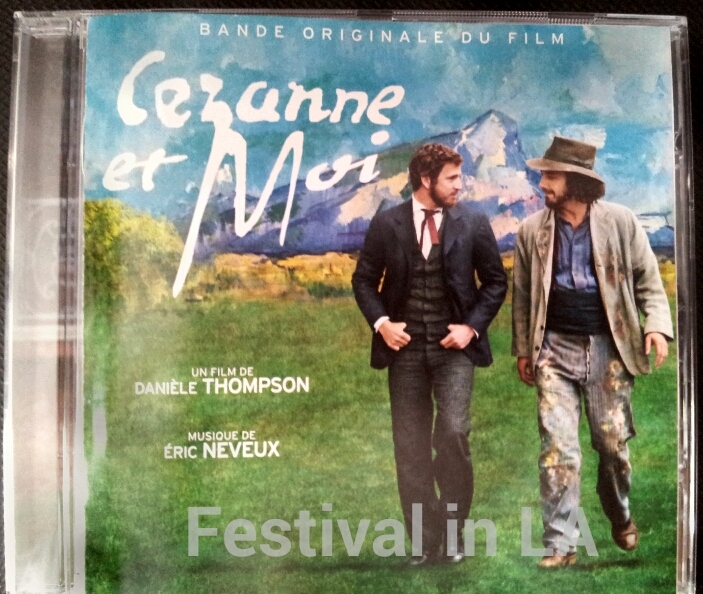 The original music composed by Erik Neveux (Intimacy, The Attack) is extraordinary. The violins, cellos, guitars, and flutes reverberate flawlessly, enhancing the mood according to the story. The music has plenty of natural sounds that evocate the ambiance of the time-period of the story with grace and perfect harmony. Viewers will experience a gorgeous film full of art, passion and those beautiful moments that go along with a lifetime Friendship. Awesome! I am glad you like it. Thank you very much.